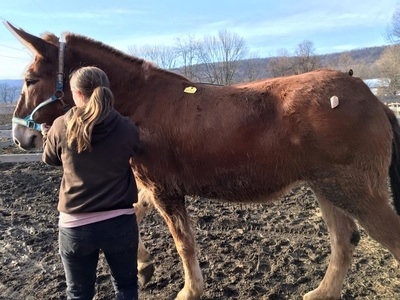 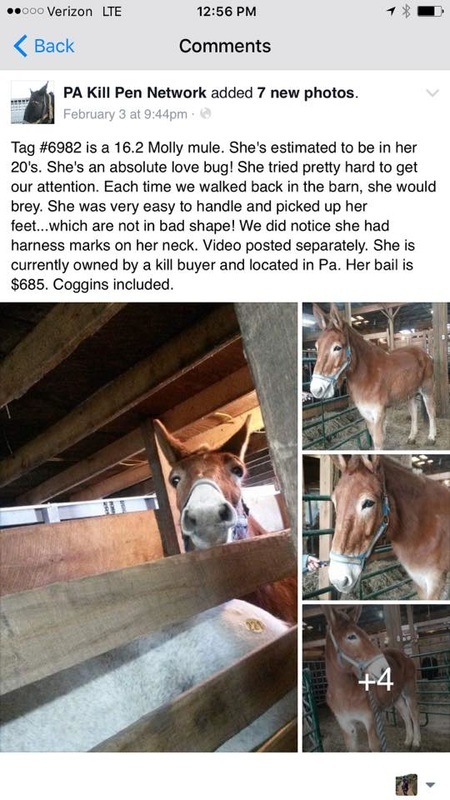 Ruth, a 20 year old Molly Mule was pulled from a kill-pen line waiting to load on the truck for slaughter, by a bunch of wonderful people who donated to cover her "bail" cost, and PARR who pulled her and had her transported to our foster farm for quarantine under the care of our veterinarian. Ruth was named by the family of last year's kill-pen rescue "Popcorn". 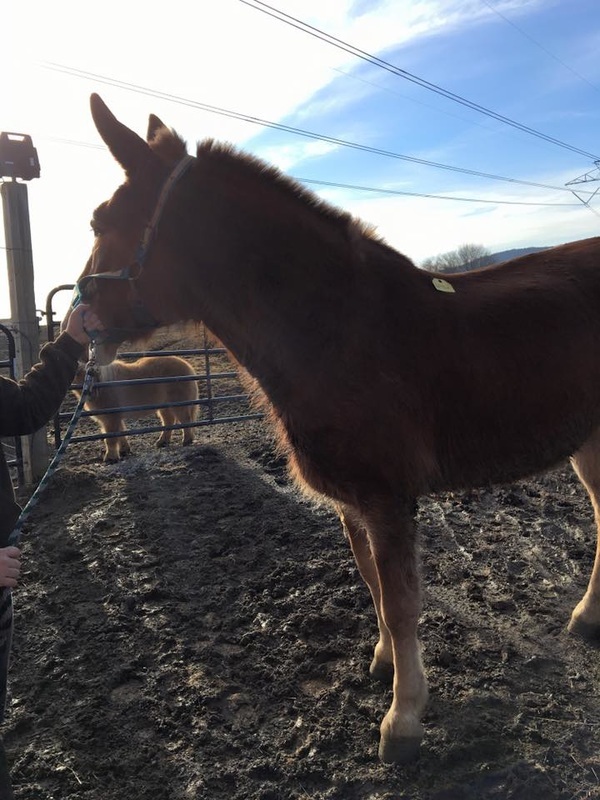 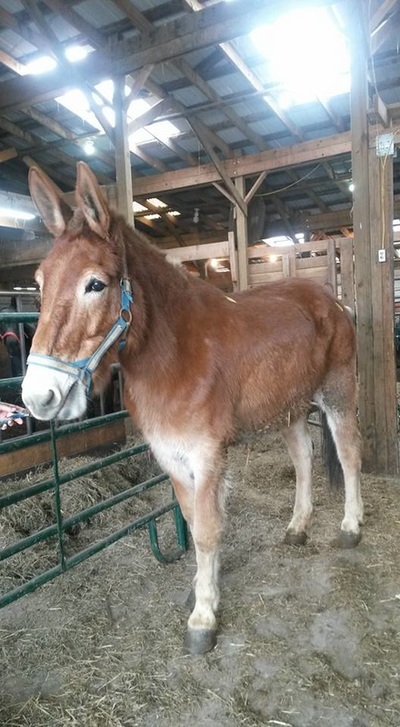 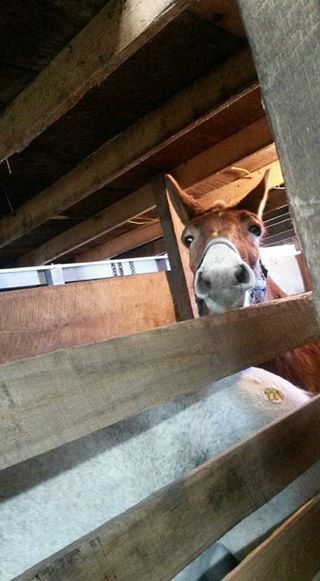 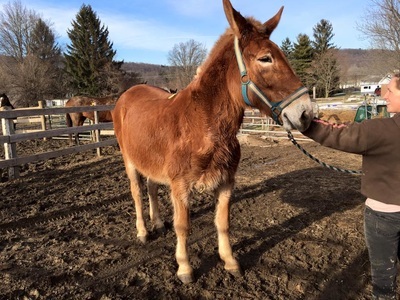 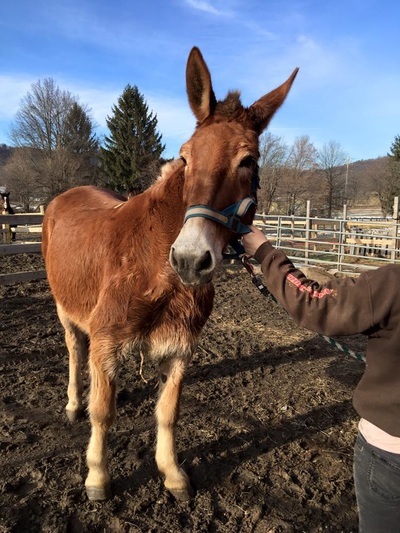 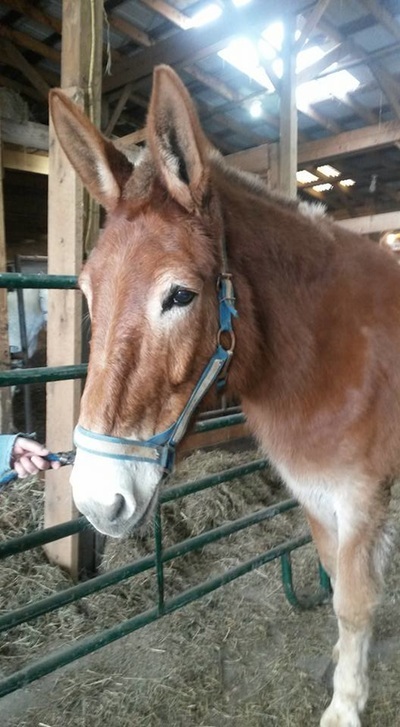 Ruth is a wonderful sweet kind mule with good manners and a nice disposition.